Motion Capture Sword Game For PS2, Is This Another Sign That Sony Is Ashamed Of The PS3? | OhGizmo! Motion Capture Sword Game For PS2, Is This Another Sign That Sony Is Ashamed Of The PS3? Sony has announced that it will release a 1:1 motion capture sword game in time for Christmas. The game will work with the popular EyeToy camera. Players will have a fluorescent-green sword that they can swing around and have their on screen character perform the same moves precisely. As you advance in the game the sword will gain more powers. And if you place the sword behind your back you dim the light of the sword so that monsters have a harder time of finding you. This is being released for the Playstation 2 and has a chance of becoming a big seller due to the fact that millions of people still have(and enjoy) the PS2 and a Christmas release means this will be out months before the Wii Motion-Plus. 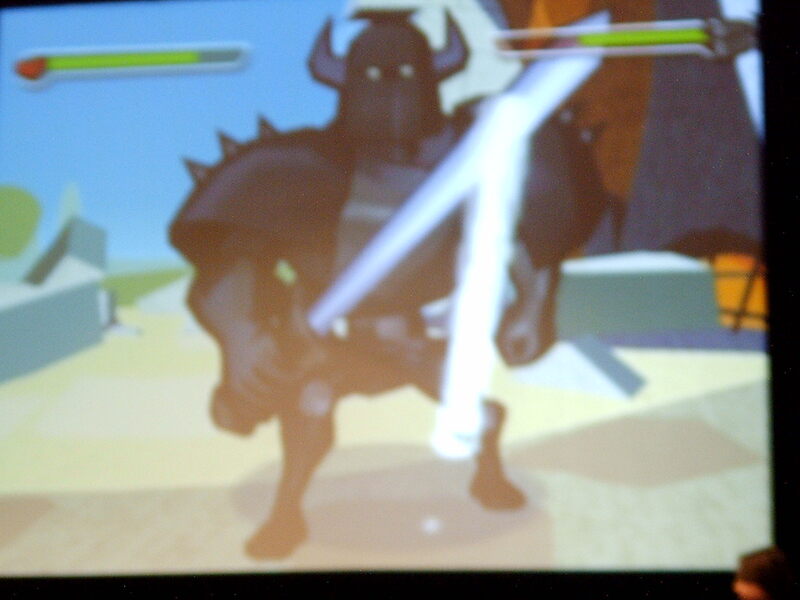 The Sword is just a toy sword that the Eyetoy can track, so not as exciting as you might think. we just have to wait untill the Wiimote+. Did someone already said that your blog is cool and very interesting to read? but i don't know when i can try it. I think the pic not so clearly.. I'm looking forward on playing this fantastic game! Did hero ever get released or distributed in US?